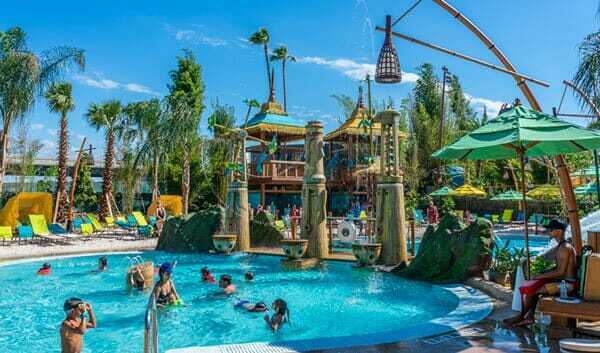 Volcano Bay water park opened in May of 2017, and is the first water park to join the Universal Studios Orlando family. 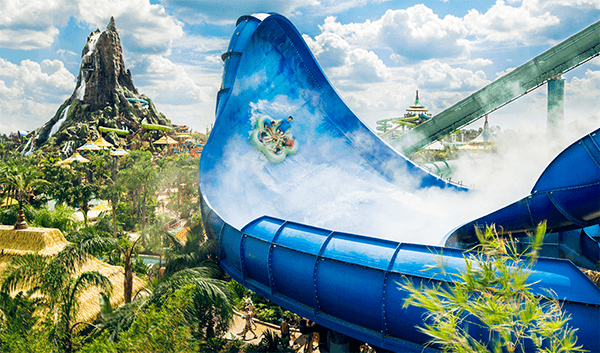 It has everything you’d expect from a water park – water slides, lazy rivers, dining options, and more. 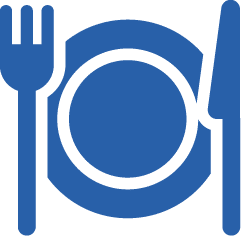 Here are just a few of the most popular. 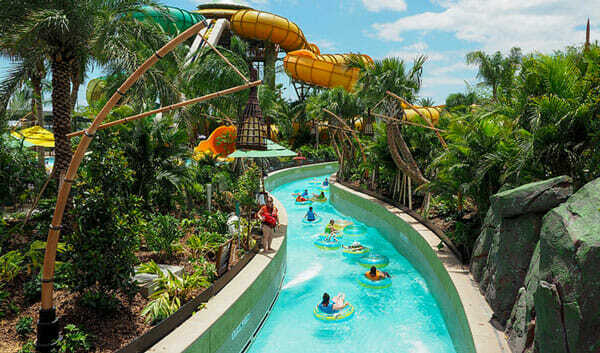 An adventurous, multi-passenger raft ride that will soar across a dual wall. 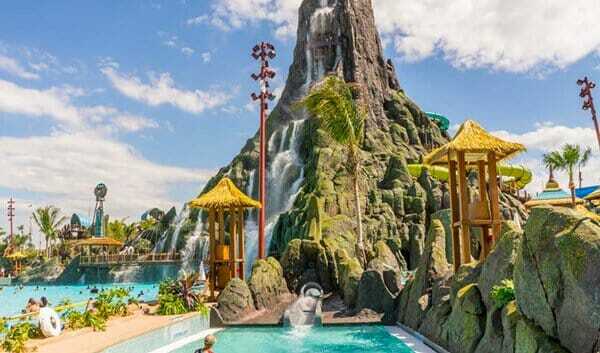 Join Kala and Tai Nui are atop the volcano with trap doors that drop guests down the slides. 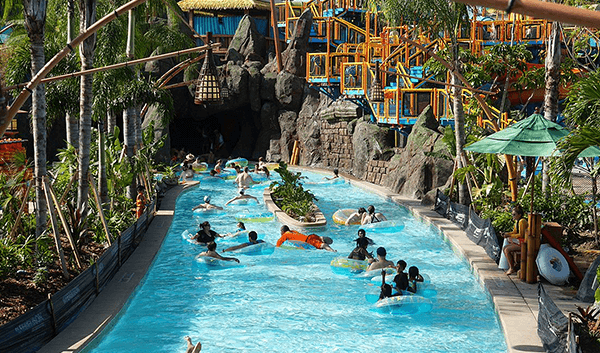 Kopiko Wai Winding River is a lazy river with sprays of water along the way. Stargazer’s Cavern reveals the magical night sky above. A racing, 70-degree drop that riders plummet 125-feet through the center of Krakatau. 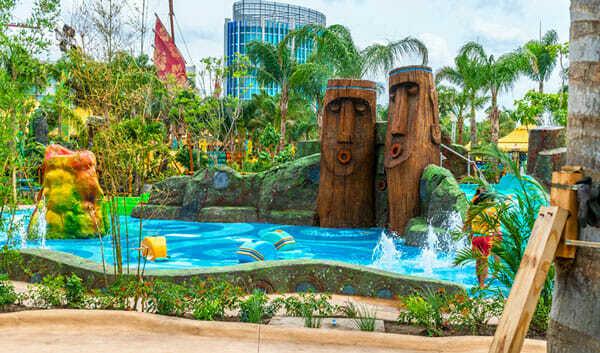 It will be the world’s first slide to travel through a pool filled with guests! Krakatau is a four-person canoe that slides upward through mists and into the dark turns and twists inside the volcano, before plunging through a shimmering waterfall. 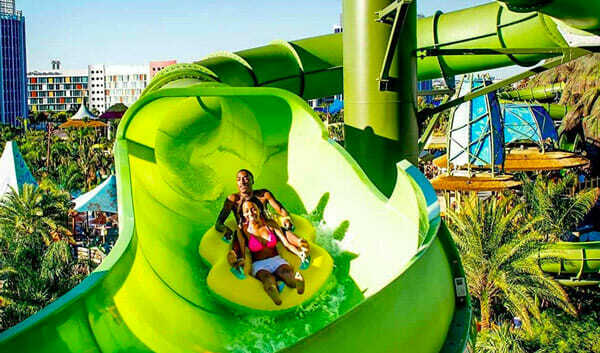 A multi-passenger raft ride that will drop guests into darkness before tossing them into a funnel which then launches them into a zero-gravity drop. A calm pool where guests can swim and relax. 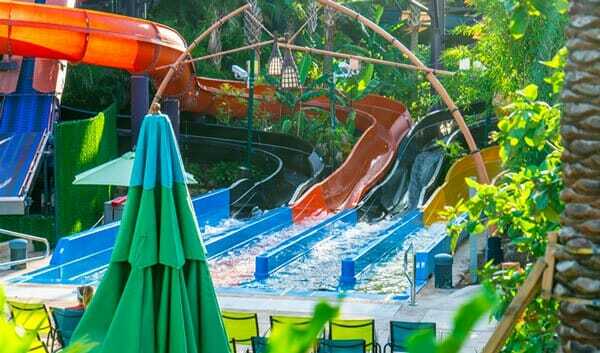 Little kids can race through four different enclosed slides on mat. 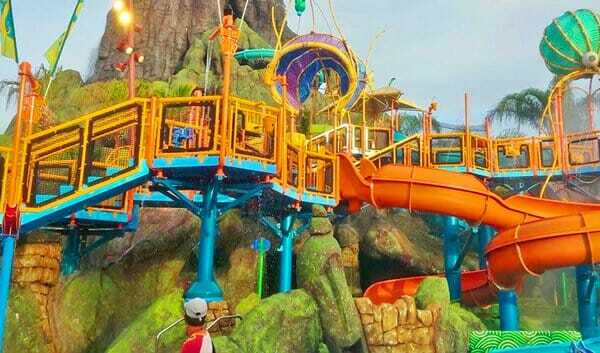 A three-story water playground inspired by the coral reef overflowing with twisting slides, sprinklers and more. A calm leisure pool with exciting views of riders speeding through the Ko’okiri Body Plunge. 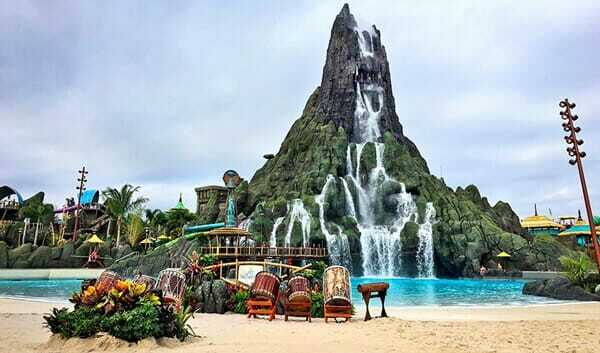 A toddler play area with spraying fountains, slides and a kid-size volcano. The action-packed river for thrill-seekers where guests have to hang tight in their inner tube amidst roaring, whitewater rapids. 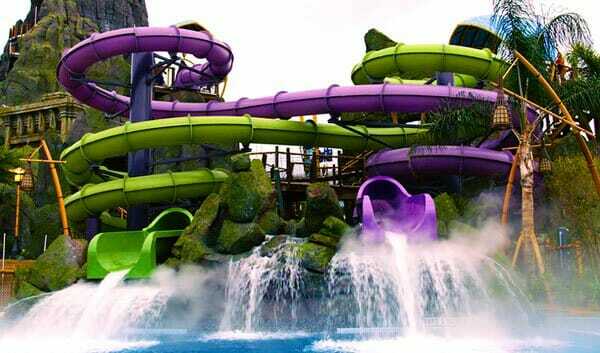 The Taniwha Tubes™ are four twisting water slides. 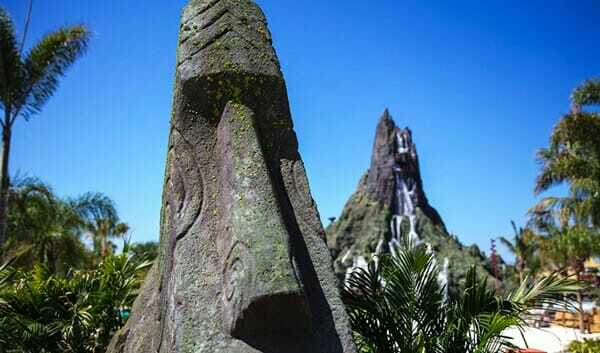 Riders can try all four tracks as mischievous tiki statues spray jets of water when you least expect it. Swim, splash and relax right amid the breathtaking view and warm waves of Waturi Beach, where the surf overlooks the picturesque Wave Village. 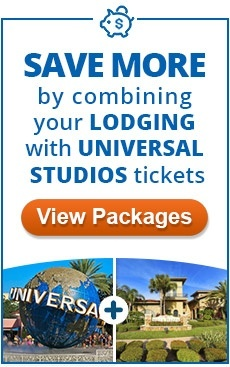 Need Universal Studios tickets and lodging? 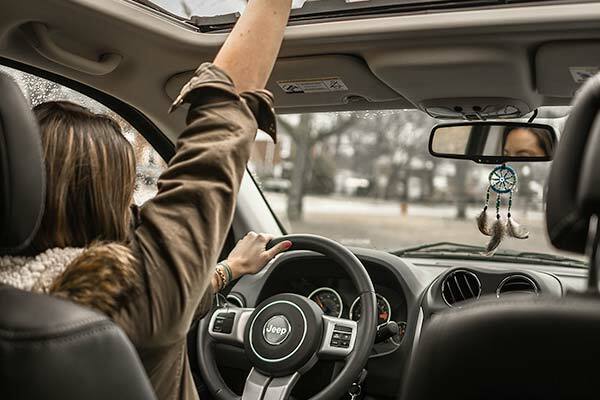 Build your own vacation package and see how much you’ll save on your Orlando vacation.